How Flutter will Change Mobile App development Trend? Google Flutter- the new open source, cross-platform mobile application development SDK with which super and dynamic apps can be created for both Android as well as iOS platforms. Flutter app development focuses on increasing the app’s quality and accelerating the application development process. Flutter app development companies are sure to benefit from the recent change in the trend that the Flutter mobile app development is going to build. 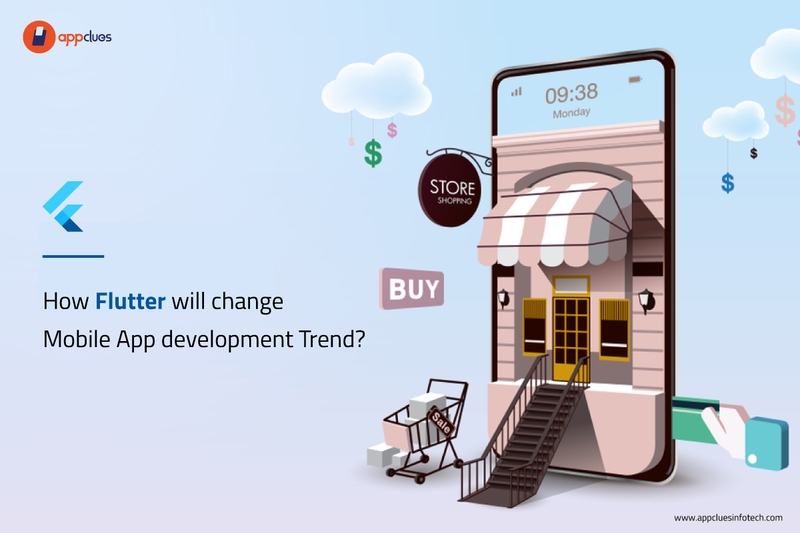 Have a glance on the below points to note how the Flutter app development is going to change the present Mobile application development trend. The hot reload feature of Flutter makes it extremely simple to test. The Flutter developer can easily build UIs, set bugs and include fascinating features. The sub-second reload time eliminates additional time on simulators, emulators, and hardware for Android and iOS platforms. Since widgets belong to the application and not to the platforms, switching between different platforms is easy with Flutter. You would experience very less or no compatibility issues on various OS variants. Flutter allows you to create your own widgets with the help of the existing widgets. There are many alternatives available in the widgets library. It can be customized according to the wishes of the developer to create extremely responsive and creative portable solutions. Flutter app development allows you to build a magnificent UI with beautiful iOS widgets, smooth natural scrolling, rich motion APIs and platform awareness. The complex APIs with UI can be simply made with the Google Flutter. UIs relating animations, 2D and gestures are only a piece of cake for it. The documentation to a great extent is extraordinary, simple yet careful. It can be sometimes difficult for the developers to learn a different language or a different framework but the documentation of Flutter ensures that an easy learning curve is provided to the developers. Many Flutter app development companies have already started taking benefit of this recent technology which can be seen as a promising future trend. With so many features of it’s listed above, it is sure to bring a renaissance in the mobile app development in the coming years. Hire Flutter developers for building smooth, quality apps to accelerate the pace of the growth of your business.